NHL News : Dale Weise makes very strong comments after 4 player trade today. Dale Weise makes very strong comments after 4 player trade today. Weise with some strong words after the trade. The day kicked off with a significant trade in the National Hockey League on Saturday when the Montreal Canadiens and the Philadelphia Flyers pulled the trigger on a 4 player trade deal. There were a few layers to that trade deal but unquestionably the biggest talking point coming out of the trade deal between the Habs and the Flyers has been what will be the eventual return of NHL forward Dale Weise to the Montreal Canadiens. There was never any doubt about Weise's dedication to the Canadiens franchise and when he was eventually shipped off to the Chicago Blackhawks it was painfully obvious that both the player himself and the Montreal Canadiens' fan base would have preferred he remain in Montreal. It was not to be however and Weise would instead finish off that season with the Blackhawks before joining the Philadelphia Flyers organization for the better part of 3 full NHL seasons. "It feels absolutely surreal. It's just crazy. I don't even know what to feel right now. The first time I got traded to Montreal it was a dream come true, and ever since I left I just haven't felt like the same player, my emotion-- it just hasn't felt the same since I left. To come back now, it just feels so surreal. I'm so excited. This is where I've always wanted to be; the team, the fans, the ownership, the coaches-- just everything, it's everything I wanted to be a part of." "I think it's amazing. From where they were last year to where they are this year... I haven't watched a lot of hockey myself this year, but the times I have watched them--they're a quick team. Any time you have Carey Price in the net you have a chance to win every night, and I really like their team. It's a fast team, they get contributions from everybody, and I'm just happy to get the opportunity to be a part of it." 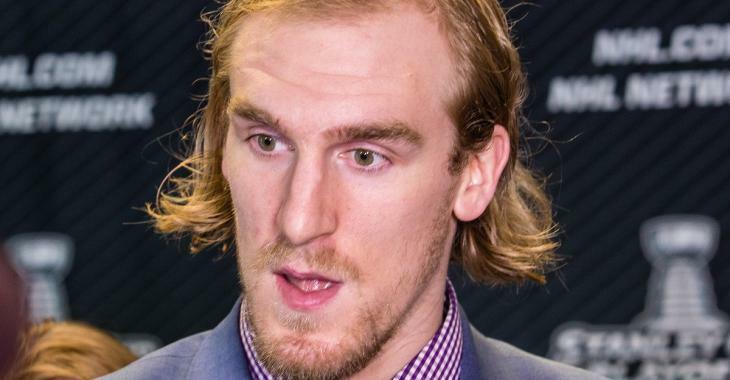 Now you might be wondering how Weise would feel when he finds out he will be reporting to the American Hockey League's Laval Rocket and not the NHL's Montreal Canadiens, well he had an answer for that as well. Weise is so thrilled to be back in Montreal that it sounds like he is very much content to work his way back up to the ranks of the NHL. "I'm going to go down to Laval and do what I do. I'm going to be a good teammate, be good leader down there, and I'm going to earn my way up. I'll be ready when I get the opportunity." Fans of the Blackhawks and Flyers certainly won't be happy to learn that Weise himself felt he lacked emotion while playing for their respective teams, but this level of passion from a player has to feel very promising from fans in Montreal.